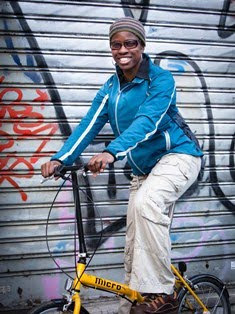 2Wheel Chick: Stage 1 - London to Cante...no Hyde Park Women's Crit Race ! Stage 1 - London to Cante...no Hyde Park Women's Crit Race ! As soon as I heard there'd be a women's cycle race in Hyde Park during the Tour de France I knew straight away I'd be doing it ! There's no way I'd miss the chance to race around well known parts of Central London. We spend most of our time racing on circuits in the middle of nowhere, or on lanes in the back of beyond. So any time we can race in Central London I'm there. In 2005 we raced along Whitehall and Parliament Square as part of the Tour of Britain. Last year we raced around St James' Park, Buckingham Palace and the Mall as part of that event as well. Top event ! This time there'd be even more people watching us as it was mid-afternoon and all the bunting, fanfare and the screens were still up for Stage 1 of the Tour de France. The park was full of afternoon sunloungers and others who were out for the cycling festival. I'd been training regularly and had done a few races with the fast girls so was getting the hang of how to mix it with them. I'm still relatively new to racing, so am still finding my feet - especially when it comes to not getting dropped ! I went to the race all tuned up and ready to hold my own in the bunch, contest the attacks, and generally get stuck in. But it seems like today was one of those days on the bike. Although the race route round the Serpentine Lake was largely non-technical, there were a few tricky speed bumps that had cobbles on them. There was also road furniture to watch out for, and parts of the course were a bit narrow for the 40-strong peloton. While warming up along these cobbled speed bumps on the Serpentine Bridge, my hand fell off the handle bars, and my foot came out of the pedal. Suddenly losing my balance sent me crashing to the ground. It was a shock to my system, but I wasn't hurt - just completely taken by surprise. The ambulance crew who witnessed the crash rushed over to me - I was so embarrassed and quickly told them I was ok. It was a stupid fall - one that I've never done before ! The problem was that because I'd crashed on the cobbles, I had a stressful time during the race. Going over these ramps at 25mph made me pretty nervous - especially when you're not sure how you'll land and you've got all the bunch around you ! There was alot of attacking in the race - notably by Jo Rowsell (Global Racing Team), Louise Mahe (Cycles Dauphin) and Hannah Bussey (Team Luciano). I went with the group on the attacks, but once again I'd let myself drift to the back thinking I'd be safer. In fact I was probably working harder than most people in the peloton. As well as that, I couldn't read the race and was constantly playing catch up. This isn't what all my training and preparation had been for ! In my annoyance and frustation, and just so as I could reduce my stress levels I dropped out - my first DNF in a cycle race - ever ! Sri, a fellow competitor, who had been dropped some time earlier past me as I was pulling into the side of the road. She offered that we work together through the race. But I declined. I had psyched myself up to race in a bunch, and I wasn't interested in doing anything else ! In the end, I was glad I didn't finish the race, as there was an awful crash 500m from the finish line. Up to a dozen girls went down when one rider crashed into the barriers. Most women got up and rode away, albeit a bit battered and bruised. Unfortutnately Louise and Jo, along with Jo Munden (VC Meudon) had to be stretchered off the course with suspected broken bones. Ouch - thank God that wasn't me. Out of all of the carnage, Janet Birkmyre (Planet X-She Cycles) still managed to sprint to victory. It was nice to finish in time to still follow proceedings in Kent. 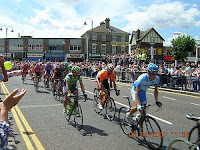 There was alot of excitement as we heard that David Millar had been on lone breakaway for the majority of the race. Aside from the that, the day went very well - watching the remaing crit races, catching up with old cycling buddies, and rounding it off by dancing away at my friend Sophie's wedding bash. And of course the London to Canterbury stage was great to watch. It's just a shame David Millar didn't manage to stay away from the peloton right up to the finish line !